Above All Roofing knows a properly configured guttering system is essential to disperse rain water away from your home. We specialize the fabrication and installation of seamless gutters and will make sure you have the protection you need at an affordable price. Above All Roofing will provide you with a custom seamless gutter system, unique to your home. Our experienced gutter technicians will measure your home to determine the right system for you, and then we manufacture each gutter piece on premesis to make sure they fit perfectly. For example, if the back of your home is 80 feet across, we will make one 80 foot piece of pre-painted aluminum gutter. 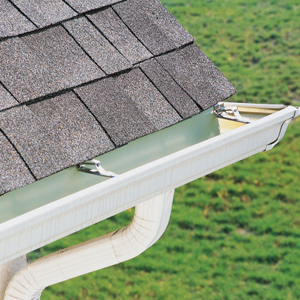 The reason we focus on seamless gutters is because it minimizes the amount of joints in the gutter system and therefore are very effective at preventing leaks. 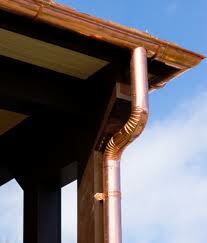 The term seamless gutter can be confusing because there are seams in the system. The seams are only at the corners and downspouts. These joints are fastened more securely and sealed for stability and leak resistance. The Seamless Gutter itself is continuous which makes it both strong and visually appealing. 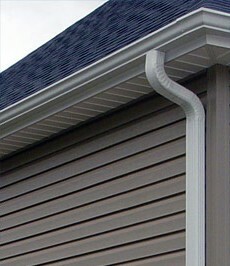 Seamless gutters come in a variety of colors. For more information or a free estimate, click here or call us today at 203-336-4667, 203-426-0646 or 203-660-ROOF. Serving Bethel, Bridgeport, Brookfield, Cos Cob, Danbury, Darien, Easton, Fairfield,Greenwich, Monroe, New Canaan, Newtown, Norwalk, Old Greenwich, Riverside, Sandy Hook, Southport, Stamford, Stratford, Trumbull, Weston, Westport and Wilton.